In the ever expanding cyberspace, it can be hard to keep up with the latest technology, terminology, and skill sets required to master the web. In the absence of this knowledge, it is important to seek guidance from industry professionals who understand it best. First, you need to understand the different types of website building professionals. It takes a team with varied skills to build a fully interactive site – not a single individual. Our web nerds know just what buttons to push. Do you? Think of website designers as the project manager of your site build. They are responsible for the look and feel of your site. They determine the layout, graphics, text, and navigation of the site. It is important to understand, however, that website designers typically do not create the graphic, visual content, nor do they build the code to make your site operational. Graphic designers can be considered the ‘visual artists’ of the project, responsible for creating the brand image. They understand the importance of design concepts, create graphics, blend colours, and select fonts. 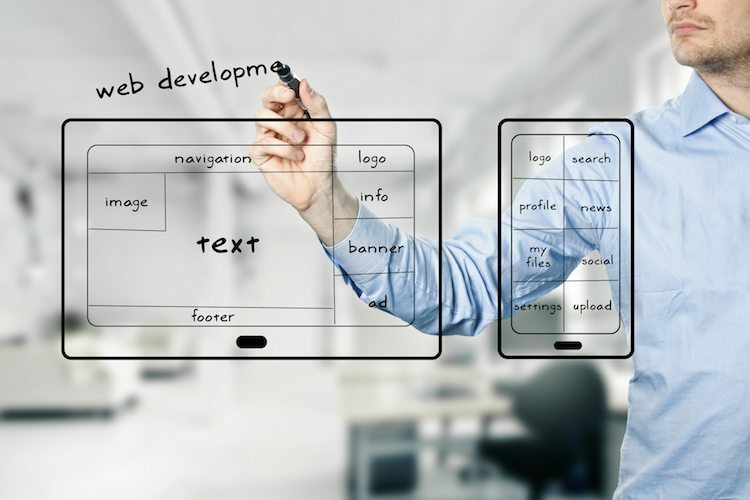 Website developers are the technical gurus of the web team, building all of the behind the scenes infrastructure to ensure your new website is operational to visitors. They take the design and write the code to implement it. Internet marketers are the strategic thinkers of the web team. They help increase online traffic to your site through search engine optimisation (SEO). An important element of effective SEO is making your site easy for both users and search engine robots to see and understand. Many search engines are growing smarter and more sophisticated, yet they are still limited to only understanding the code of a website’s backend. Content based SEO helps search engines understand what each page of your site is about, what it looks like, and why it is important, in an effort to make things easier for your visitors. Many web nerds claim they can provide all of these skills themselves, in one package. But the significant difference of what is required at each step of the process makes the project impossible for one person. It is important to be aware of the differences in skill set; to understand that a graphic designer cannot build a website, and an internet marketer cannot write code. Because we are a full-service agency, Chilli has the resources, skills, and people capable of building an interactive site from conception to launch. These days your website is your world. It’s rare for someone to happen upon a business without first checking you out online. So that means your site is the first impression you’re having on a potential customer or client. You want to get it right. To find out more about website design, get in touch with the Chilli team to start your project with us. Or to see how well your current website is performing get a website Health Check-up by our web nerds.